Using the self-assembly process in medicine applications could greatly improve orthopedic implants. The average life of an implant today is about 15 years, according to the American Academy of Orthopedic Surgeons. When implants fail in the body, they often break or crack the bone they are attached to. It is also very difficult to get bone to grow on the implant, which is usually made of titanium or ceramics. Researchers have developed a special coating comprising molecules that self-assemble into a structure similar to that of bone. The research shows that when such a coating is applied to an implant, bone cells adapt to these structures and grow onto them. In another research project, scientists have designed artificial molecules that self-assemble to form structures that they think could be used to create a piece of artificial spinal cord. The artificial spinal cord could help paralyzed patients regain some mobility. The self-assembled molecule structures would act as a scaffold in which spinal-cord tissue or bone tissue could regenerate. Self-assembly could change the nature of drug making too. A research group in Rochester, New York, is working on molecules that can self-assemble into drugs. The drugs would have the potential to sense cells with a disease and target them with treatments. The self-assembled molecules bind to specific genes that cause certain genetic diseases and this process blocks the genes from functioning. Of course, self-assembly in drug making still has to be proven nontoxic to humans. Human clinical trials are necessary. There is also the lengthy federal approval process to go through. Plus, scientists have yet to learn how to design the right molecules and figure out how to force them to assemble in certain ways. Several companies use molecular self-assembly to make products. One of the companies, NanoSonic Inc., is located in Blacksburg, Virginia, The company's team of researchers is headed by the president, Dr. Richard Claus, a professor at Virginia Tech. NanoSonic Inc. makes a patented material called Metal RubberTM using a molecular layering process, known as electrostatic self-assembly. Metal RubberTM looks like brown plastic wrap, and has some amazing properties, including elasticity. "We can stretch it to about 200 to 300 percent of its original length, and it relaxes back," says Dr. Claus. "It's very tough. We can expose it to chemicals. We can put it in jet fuel. We can hit it with acetone. We can boil it in water overnight, and it doesn't mechanically or chemically degrade. We can heat it up to about... 700 Fahrenheit. It won't burn. We can drop it down to about... minus 167 degrees Fahrenheit, and it maintains its properties." To make Metal RubberTM, the scientists at Nanosonic built it molecule by molecule. The nanotechnology process that is used is called electrostatic molecular self-assembly. "The Metal RubberTM virtually assembles itself," says Dr. Claus. The scientists start with a plastic or glass substrate, or base, that they have given an electric charge, either positive or negative. Then they dip the substrate alternately into two water-based solutions. One solution contains ionic molecules that have been given a positive electrical charge (cations). The other solution contains ionic molecules that have a negative charge. If the substrate has a positive charge, it goes into the negative molecules first. The molecules cling to the substrate, forming a layer only one molecule thick. 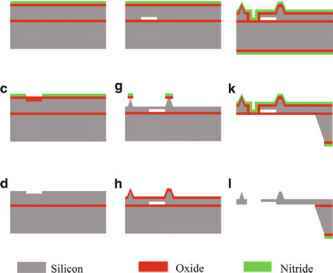 After the next dipping, into positive molecules, a second ultrathin layer forms. Making Metal RubberTM, Dr. Claus explains, is like "making a layer cake." Dr. Claus says that with Metal RubberTM, nanotechnology has produced a material with many potential uses. One of the most exciting is to make what he calls "morphing aircraft structures. These are aircraft that dynamically change the shape of their wings and their control surfaces during flight," he explains. "Almost the way that a hawk might fly along, see prey, and change its shape to dive down. For a plane, you need a material that's mechanically flexible. But you also need a material with a surface that's controlled by sensors and electrical conductors that allow it to do that sensing and change shape accordingly."